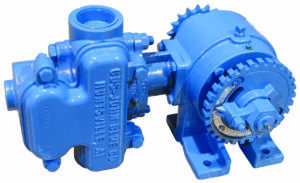 There is a SDS-John Blue Pump to meet virtually all of your application needs. All SCS-John Blue Piston Pumps have been engineered and extensively field tested to achieve the perfect liquid application pump. We have built our reputation on providing superior performance, service, quality, and we are committed to continuing this in the future. New Single Valve Cap- One piece piston pump valve cap allows for easy check valve access without moving the hoses. Easier to service. New Outboard Cylinder- Plunger packing can be inspected or replaced without removing the hoses. New Main Shaft Seals- The newly designed main shaft seals incorporate a dual wiper that is enclosed in a grease cavity to flush out contamination. Longer trouble free life. New Check Valve Design- The addition of an O-ring seal offers enhanced priming and is more forgiving in handling debris. Even better accuracy. Universal Piston Rod Seals- Three stage dynamic design primary wet end “V” packing, primary crankcase “V” packing and secondary crankcase O-ring seals work in unison to offer multiple stage protection between the wet end and crankcase. 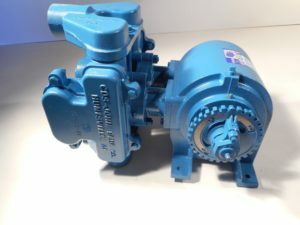 This reduces pump weepage and increase pump life. Standard Main Shaft- Standard single and double piston pump crankshafts are universal in the NGP line for modular upgrades such as clutches and On-The-Go variable rate. You are ready for the future. Common or Independent Manifolds- The larger capacity NGP double metering pumps come standard with a common inlet and outlet. The manifold which can be removed for independent pumping chambers allowing dual flow divider usage or half width applications. More flexible to meet your needs. Variable Rate Ready- The new modular design means you can expand the basic John Blue NGP variable rate applications in the future.